Standard: Casing and diffusers made in GJL250 Cast Iron, shaft in AISI 420 and impeller in BRASS or AISI 316 on request. 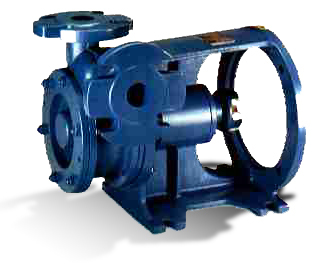 Double-stage centrifugal pumps with peripheral impellers TS. Discharge sizes DN 25. RAM pumps can handle clean liquids without solid parts in suspension. They are also used for boilers feeding, flotation plants in waste water treatment and whenever low capacity and high pressure are required. RAMD: Close-Coupled with electric motor. RAME: Independent frame with oil lubricated bearings with lantern for coupling to flanged motors.